Yamaha SY-77 No Sound Output Solved – Battery Check! Sitting in a store right down the street here in Japan were two Yamaha SY77 synths that were for $10 and $30 respectively. Both were in minty condition and had a note on them that said “No Sound”. The note confirmed that both would power on but had no sound coming out of the outputs. It seemed the problem could be a bad output board, except it still was possible the batteries might needed to be changed in these. I decided to wait until I could come up with some additional space. Both had been in the store for several months which lead me to believe that they could have some major issues. I waited and pondered whether I should gamble or not with these synths. Well it wasn’t long and I got the itch to take on another project so I went back and bought one of the Yamaha SY77’s in the store with no output. I bought the $30 one because it came with a case, no chipped keys and overall looked in near mint condition. The other $10 one had a chipped key and no case, but it also was in excellent condition. When I got home I found inside the case had the manuals and an MDC64 memory card. I thought if I couldn’t get the SY77 working, at least I’d score on the memory card. I powered it up and sure enough no sound, BUT, I got a delightful message saying the battery needed to be changed. With my past experience at these stores in Japan, the sales clerks most of the time call that “broken” or “junk”. I had suspected that could be the problem because with my first SY77 I had to change the battery and had all sorts of issues which weren’t resolved until that was done. I also took a look at the bottom of the SY77 and clearly it had never been opened. To me this is often a sign that any sort of problem “could” in fact be battery related. Thus I changed the battery and did the reset procedure. Presto! The Yamaha SY77 came back to life and check out with flying colors. I then threw a disk into the floppy drive to have a laugh because in almost every case they are broken with bad belts. To my surprise, the floppy disk drive worked without a hitch. I was able to format and save data to the floppy. I probably shouldn’t be surprised in that the inside was absolutely spotless with no dust and almost like new. There were a few label stickers on the outside which suggested the SY77 was used in a studio and likely not stored under the house…laugh. As a result, case closed. The Yamaha SY77 is working great. I suspect the other one at the shop is the same, although I simply don’t have storage to bring in another tank such as the SY77. It’s a great synth but they are big and heavy. I’m sure another tech will snag it sometime. 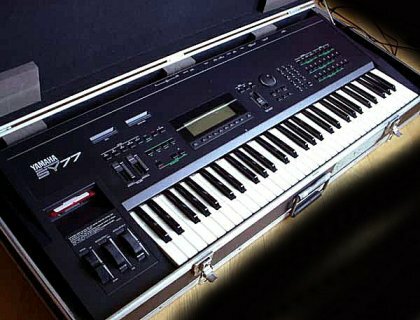 With my two SY77 synths I can say that the batteries were the root of all issues including the lack of audio output. The battery is soldered in there and my holders don’t fit, so I usually have to solder in custom wiring. If anyone has troubles with their Yamaha SY77, be sure to check the battery and replace it properly. After resetting, you shouldn’t have any further issues. Last night I played the SY77 for about an hour with some custom patches. It sure sounded wonderful!! 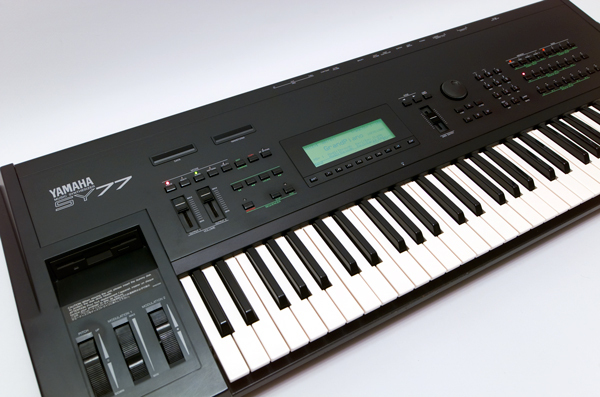 It’s amazing how the SY77 was like 3 grand when they first came out. After the success of my Yamaha SY77 “Cool Blue” LCD backlight replacement, I decided to see if I could upgrade a few other of my old keyboard if possible. Today I found a Roland W30 “White” LCD replacement backlight for a great price $26.00 on Ebay. There are other options around, but most are asking for $50 or more which I think is a bit much. The great thing about this “White” LCD replacement, is that it should brighten up the Roland W30’s green LCD considerably. 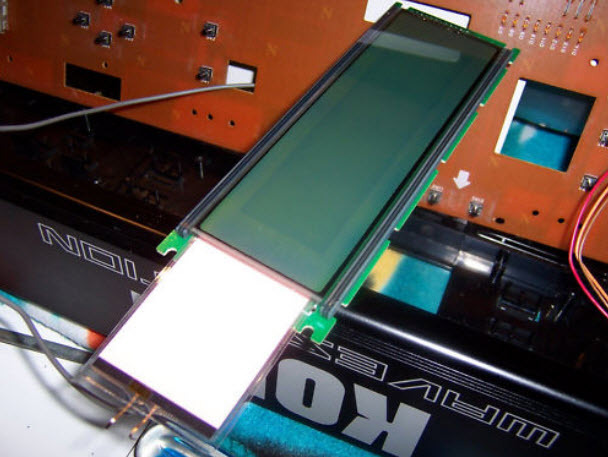 Note that this LCD backlight replacement can also be used for the Korg 01W and Wavestation A/D. I find myself playing in a lot of dark places and with the Roland W30 having a brighter display it should be more fun and less headache to work with. One BIG problem that will still exist is the power converter noise or hum in the Roland W30. I completely eliminated this whine from the Yamaha SY77 by replacing the LCD unit altogether, but I have yet to find the proper replacement hardware for the Roland W30. Until then, this White LCD Backlight replacement I bought from Ebay should suffice regarding the brightness of the display. Once I receive and replace the Roland W30 LCD display, I’ll post some photos of before and after. 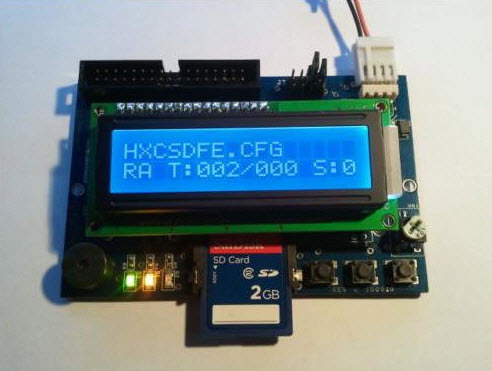 As far as I know I simply need to desolder a couple of pins and the solder in the new replacement LCD sheet. Probably the most difficult or time consuming aspect will be taking apart the Roland W30 to access the LCD display. That was an all day job with the Yamaha SY77…laugh. Nonetheless, it’s kind of fun actually. Nothing beats the raw smell of those old vintage keyboards and synthesizers when you crack open the cases. Yeah right! UPDATE #1: Here is a video found on Youtube of someone replacing the old Korg Wavestation A/D backlight with a new “white” version similar to the one I purchased above. This video will show you the difference roughly of before (green) and after (white). It’s much brighter you can see. Awesome!